Martina is a versatile actress and filmmaker who has starred in several films playing a wide range of characters. She has attended classes at Identity School of Acting and has completed an acting diploma at the London Film and TV Academy. She has also attended acting, singing and dance classes at the Guildford School of Acting. Her Spotlight pin is:4537-3425-2203. Martina is also a producer and director who has worked in a variety of crew positions including Script Supervisor, Camera Assistant and Editor. Martina has made both scripted and documentary films. 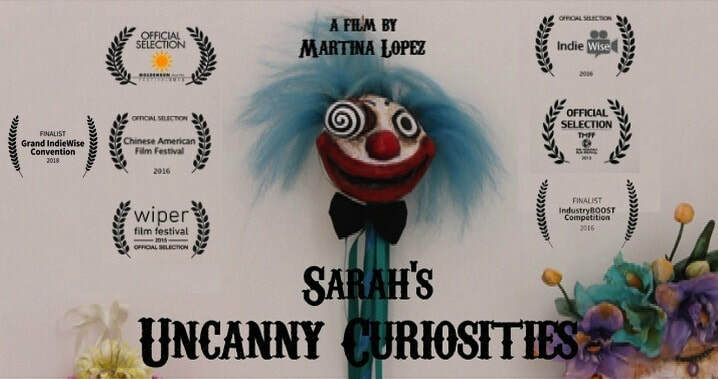 Her latest short film Sarah's Uncanny Curiosities has been accepted into several film festivals and was screened at Exploding Cinema. In April 2018 she sang with her band Arx Vanitas at a charity event attended by Prince Edward.